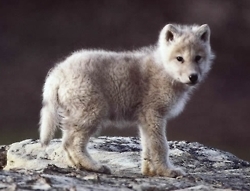 Ulv is the Norwegian word for wolf. 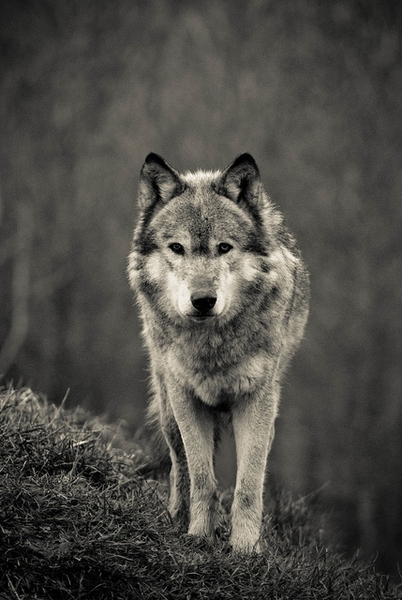 Those of you who have been reading my blog since I began will know of my ever-increasing fear of wolves. Sometimes I hear the word ''ulv'' on the radio while I'm having breakfast and it sends shivers down my spine while I dream up all of the horrible things that might have happened, even though it usually turns out that it's just a report on how few wolves are left in the forest, therefore making my fear quite unnecessary. Have you ever played 'What's the Time Mr Wolf'? It's a truly horrific game that mean kids often make you play at birthday parties. 'Mr Wolf' faces the other way and answers with a number when you ask him the time. If he says 5 o'clock, you take 5 steps towards him, 2 o'clock you take 2 and so on until at one particularly terrifying point you ask him the time and he spins around and shouts "DINNER TIME!!" It's appalling. What do you think about wolves? Are there any animals that you are afraid of? I know most people are scared of spiders and that the chance of a wolf getting to me in a second-floor flat (I refused a ground-floor flat because I'm not stupid and someone told me once that a wolf can jump 6 metres in the air and although that sounds kind of ridiculous, I am not taking any chances) are pretty slim, but for some reason they terrify me! Well, I always have been a bit afraid of bears. Being Canadian, when camping in the rockies I always had to be bear aware. So I moved to Australia, but now I have to be aware of Sharks, Crocodiles, poisonous spiders, and, where I live especially, snakes. But I can say that I've fought a dragon (okay, lace monitor lizard) with nothing but a farm implement. I've been afraid of wolves ever since I read My Antonia. There is a story told by Russian immigrants in that novel, about wolves chasing down a bridal party travelling on sled (I won't tell you how it ends). Really though, alligators and polar bears are my two most widespread fears. If I stay in the middle of the continent, I should be all right. Wolves are my favourite animal actually lol! I adore them and think they are beautiful. I'm actually talking about them in my "W" post tomorrow! I remember playing that game! I actually found it quite fun, but I'm not really scared of wolves, so...although it's certainly more rational than my biggest fear...Spiders! I have never played that game. There is a wild cat rescue center a couple miles away from the town I live in. About 4 years ago a pregnant cougar got loose and every once in a while there is a sighting of a family of cougars. So I am always a little afraid I might run into a cougar. Fun post! I have a fear of snakes. Eek! I don't have a fear of wolves. In the US, especially the places I've lived, they aren't much of a threat. Now coyotes--that's some scary stuff. They are everywhere and adapting to suburban and even urban environments. I used to see them running around in an open field behind the apartment I used to live in, in the middle of Tacoma Washington. My kids play this game at swim class and at school, but it's called "What time is it Mr. Fox?" Maybe a fox is less frightening.